In July I wrote a piece for the blog My Interning Life. In the piece I covered my internship in Sydney, as well as the importance of blogging and social networking for me, as a budding journalist. My Interning Life is a blog ran by an intern for all interns, it features intern profiles (like the one I did), current internships on offer, and a bunch of other things that all students seeking an internship would find useful. I highly encourage any students who are currently looking, or preparing to go on internships to head to My Interning Life, you can also check out what I wrote for the blog below. Ben Hansen is a journalism student at Swinburne University. The 20-year-old expects to finish his degree at the end of 2013, majoring in journalism and politics. Today Ben offers his advice for journalism students on My Interning Life. Since I can remember, I’ve always thought being a journalist was a pretty cool job, there’s just something about sharing the stories of others to an audience a nd reporting events and news that is happening around town, the nation, or around the world. For some reason, I never considered journalism as a career choice until year 10 when my English teacher, Robyn Bessell, told me I had a talent for writing. Ever since Robyn told me this I have wanted to become a journalist. I moved to Victoria in early 2011 to start a degree in journalism. Initially at Deakin University in Geelong, I moved to Swinburne after a year at Deakin due to the course not being as journalism focussed as I had hoped, and I’m now loving studying at Swinburne and having great lecturers and tutors who all have vast industry experience (and contacts). 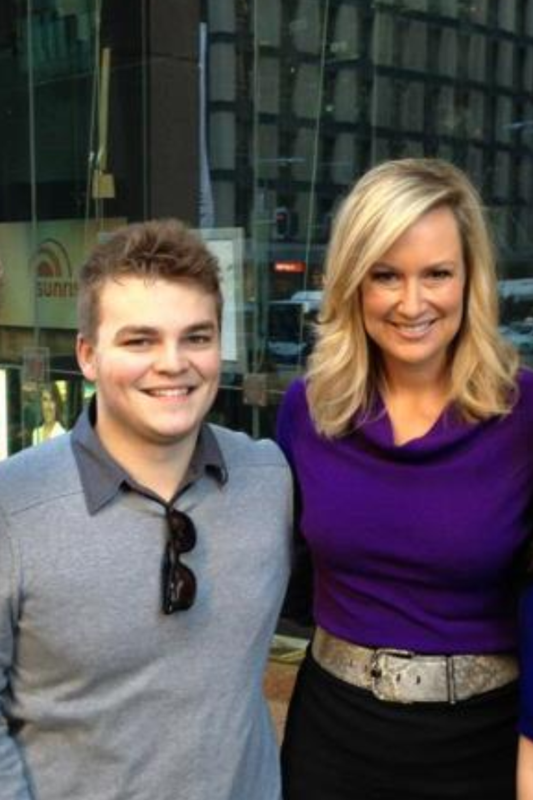 My dream job is to work aside Mel and Kochie on Sunrise, and one day anchor a news program. This past semester we touched on newsroom journalism at Swinburne, and I absolutely loved it. At the moment I have only interned at Your Investment Property (YIP) magazine in Sydney. I enjoyed experiencing the ins and outs of a magazine, but I soon discovered that writing for magazines (and investment magazines for that matter) is not what I intend to do when I finish my degree. However, I learnt a fair amount from my time spent at YIP. My days at YIP magazine involved writing the state-roundup and writing a small 250 word article on a particular suburb in each state. This required me to interview real estate agents that had properties listed in the chosen suburbs and review data provided by external sources and then convert the information into something appealing for the reader to consume. Another article that I wrote was a feature on a man named Damien who after reading the magazine, decided to invest and had success in the market. These pieces should be coming out in the September issue of Your Investment Property magazine. Although beginning the internship with a bare understanding of investment, I sure learnt a lot through speaking to peers and real estate agents. Although I’ve completed one internship, I intend to do even more. I see a journalism degree as a stepping-stone to a career as a journo. The other key stepping-stones are internships (plenty of them) and contacts in the media industry. These contacts can be from internships, tutors/lecturers or family friends etc. From what I’ve been told, and I believe this, newspapers, radio or TV stations aren’t likely to pick you up unless they can see that you’ve had industry experience before hand. There are a lot of fish out there looking for the same job as you, so the more experience you have, the more you will stand out. This leads me to my next point, exposure. All journalists want to shine, there’s that little byline at the top of each newspaper article where we all want our name to be. Now for most budding journalists like myself, it’s not the easiest thing to get published and have our own glorious byline, so you may find it hard to gain exposure; however, I have news for you. Everyone has probably told you this, but I’m going to tell you again, you need a BLOG. These websites allow you to post content, whether it’s just a simple showcase of some pieces you’ve done university assessments, or a full-blown professional blog that includes everything bar the kitchen sink. I never thought I’d get into the whole ‘blogging’ phenomena, I mean, who wants to spend their spare time writing? Well, not only are you studying journalism, but these articles and pieces that you’re putting on your blog are creating exposure. Your name is being thrown out onto the interwebs for all those media professionals to see. Creating a blog was possibly the greatest thing I have done. I may have written these articles primarily as an assessment, but there’s no reason why I shouldn’t showcase them on my blog. Couple your blog with Twitter, and you’ve got quite a nice online broadcast system. I experienced this first hand when two of my articles were ‘re-tweeted’ by several well-known people, with a total of over 250,000 followers. If you’re a dedicated student journalist, you should run a blog and Twitter account. You’ve got nothing to lose, and there is no better feeling than seeing your articles being viewed by people other than your journalism tutor, who is paid to read your work. I have a couple of hints for you though. If you’re going to blog, you should blog regularly, it shows that you have the dedication and commitment to work on a schedule, and if your intention is for the blog to be a professional showcase of your talents, you should keep it professional (no photos of drunken rampages through the city, or what you ate for dinner last night). Like I said before, Twitter is also a great way to gain exposure, you can communicate with celebrities, network with other journalists, and it’s a great way to find out about internships. Like blogs though, you need to be an active member of the Twitter community. So finally, back to the main topic of My Interning Life. I can only speak for journalism, but I imagine it would be the same for all media related careers, interning is your key. You’re going to gain experience, exposure, and contacts. So what are you doing still reading this? Get out there and be proactive towards a career in the media industry! You can follow Ben on Twitter and check out his blog.